If you remember, Ring tried to market this system as the Ring Protect system but was forced to stop sales. There was some dispute with ADT concerning the technology Ring was using. That seems to have all been ironed out and the system is now Ring Alarm. Ring Alarm is a DIY home security system that does not require a long-term contract and offers optional professional monitoring and unlimited video storage for $10USD per month. It will seamlessly integrate with all Ring security devices, including Ring Doorbells, Ring Floodlight Cam and Ring Spotlight Cams, at one location for no extra fee. The system certainly looks interesting and appealing. Time will tell once it gets into the wild and the reviews start coming to light. 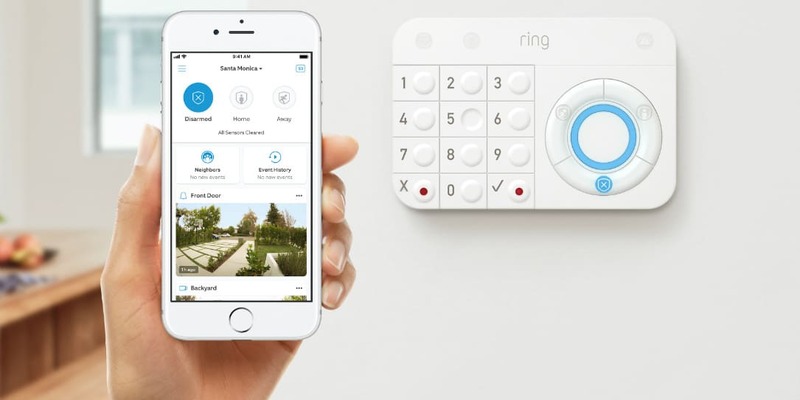 What do you think of Ring’s new alarm system? Tell us in the comments below, or on Google+, Twitter, or Facebook.